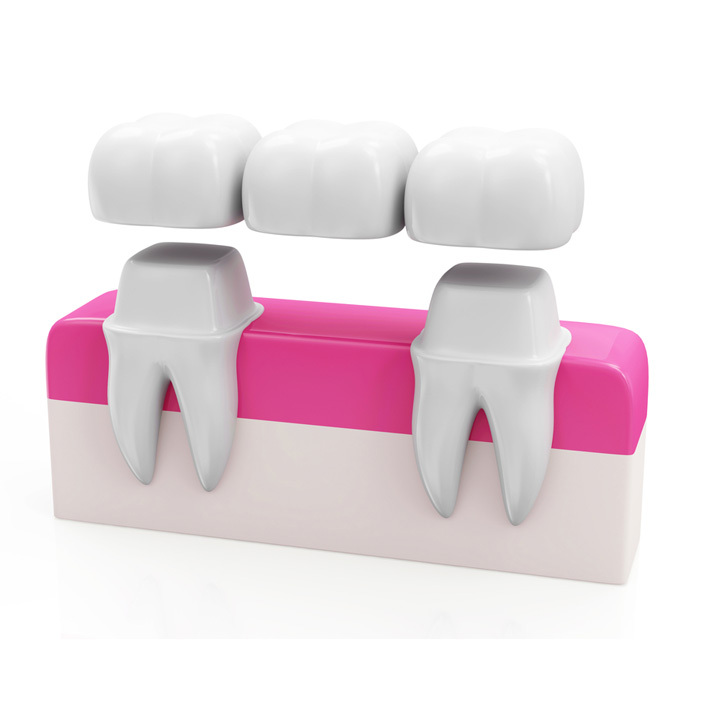 A bridge is one or more crowns joined together and then cemented into place using the real teeth on either side for support. Bridges are an option for filling the space created by a missing tooth. Bridges save time and money initially to replace a missing tooth when compared to a dental implant. However, unlike the dental implant, a bridge does not protect the bone where the tooth is lost. A bridge replaces the missing tooth both functionally and cosmetically. Bridgework is as much an art as it is an exact science. Bridge materials include gold alloys, porcelain bonded to metal alloy, or all-ceramic material made to match your natural tooth color. The choice of material depends on requirements for strength, wear and/or esthetics.